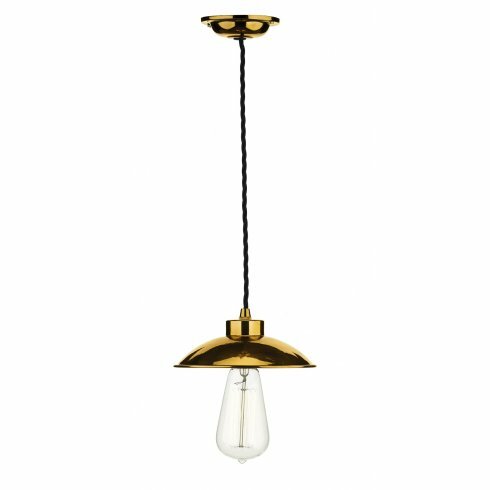 David Hunt Lighting Dallas single light ceiling pendant features a ridged ceiling plate supporting a domed, semi-circular pendant by twisted black cable. The shiny copper finish makes this fitting great for both classic and contemporary interiors. The product code for this David Hunt ceiling pendant is DAL0164. Height is adjustable at the time of installation. Also comes complete with an additional matt black ceiling hook to aid in height adjustment after installation and creates a unique look. Alternatively available with a contemporary polished chrome finish that is also ready to order from our website.